Some businesses just rise above the rest, offering more services, better deals and higher quality customer service. When searching for any sort of home security products your best bet isn't some big box store, but a full service, dedicated locksmith. They'll have everything you need to properly secure your home. The following are just a few of the services you can expect from a professional locksmith. If you have recently bought a house or if you have lost your house keys, re-keying might be necessary. New roommates? Kids need their own key? Count on a locksmith for exact copies. Security doesn't stop at the doors of your home. You can count on residential locksmiths to provide excellent window security as well. For added security consider the installation of deadbolt locks to all exterior doors of your house, including sliding doors. Keypad entry is becoming a hot button item for many homeowners. Talk to a locksmith about installing this feature at your home. Whether you need one for guns, paperwork, cash or jewelry, count on a locksmith for safe sales and service. Of course, for full scale home security you can count on a locksmith to provide your with high security lock sales and installation. No matter what you need when it comes to locksmith services in Reno you can trust Reno Sparks Lock & Safe to make it happen. 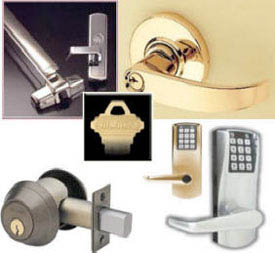 Our team of dedicated locksmiths offers a huge variety of locksmith services and products for home and office. To learn more, or to request a quote from a professional locksmith in Reno visit us today or call (775) 525-5712.